In many ways life in the study started with Mt Terrible. 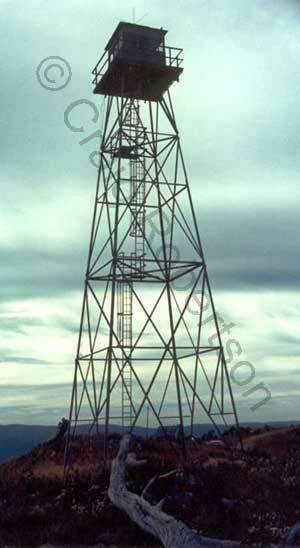 I spent a few summers in the 1960s on this firetower, and another lookout at Eildon Weir. I read a lot and gazed over the bush through blue hazes. 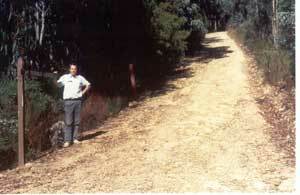 (Right) The sunlit mountain track ascending into the bush shadows. Mt Terrible: the view to Mt Skene from the top of the tower. 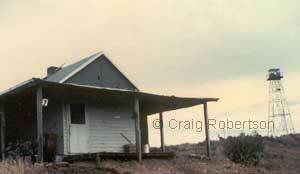 See also Kosciusko Huts Association for a 2004 photo of Mt Terrible, courtesy of Ron Dickson. January, 2015: Unfortunately I have only learnt that the hut was burnt down in December, 2012. 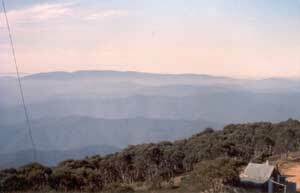 It is a sad event for many of us who loved it, and its location in the high country. A google search will yield many comments expressing dismay, sadness and anger. It is especially hard on the blokes who put so much effort into looking after it. The item below shows how fortunate we were to revisit the hut while it was still watching over such a great place. 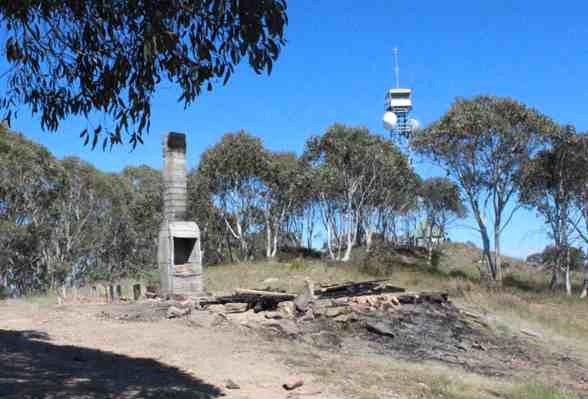 (Left) The ruin of Mt Terrible hut, photographed by Peter McGrath shortly after it burnt down. Many thanks to Peter for the image. 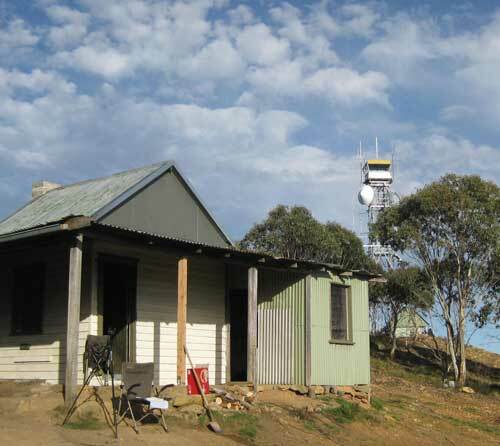 In October 2009 two veteran firewatchers from Mt Terrible - David Horne and Craig Robertson - joined a group from the Victorian High Country Huts Association for a memorable night on the mountain. 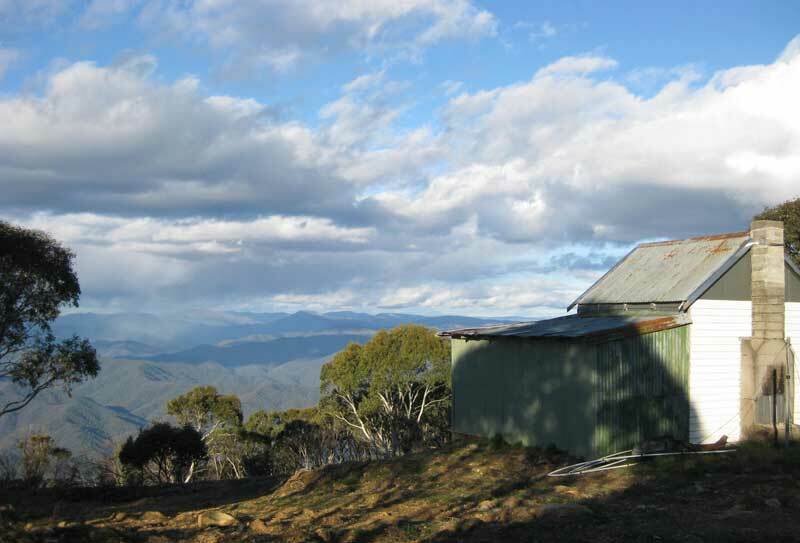 The weather was excellent, the views as fabulous as ever, and the dear old hut in as good a condition as it ever was, thanks to the efforts of the VHCHA group who have been working hard to restore huts throughout the high country. 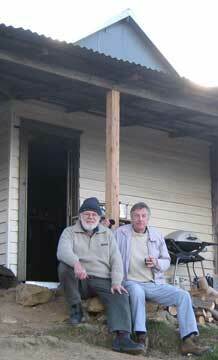 David and I carried memories of our firewatching days over 40 years ago in the 1960s. Here are a few photos marking our visit. (Left) Mt Terrible from the main access track. 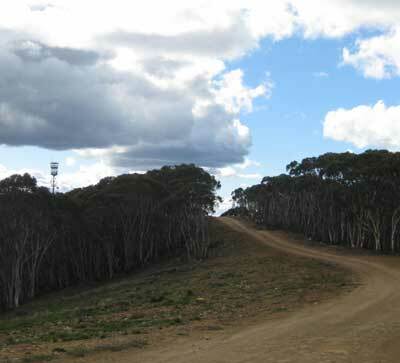 (Above) The tower from the helipad; the alpine ash has grown back over much of the clearing that existed in the 1960s. 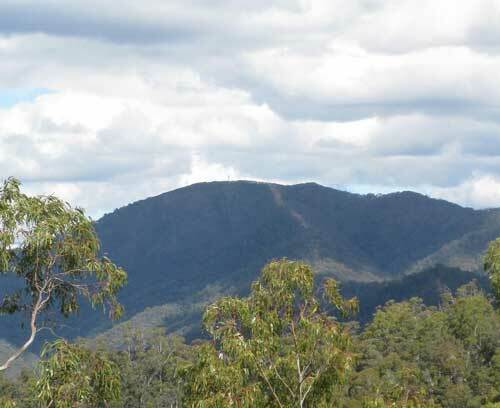 (Below) View of Mt Buller, and two old firewatchers. 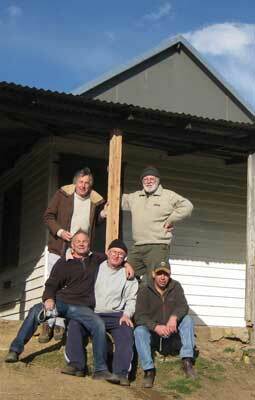 The restored hut; Craig and David with the VHCHA hut restorers. 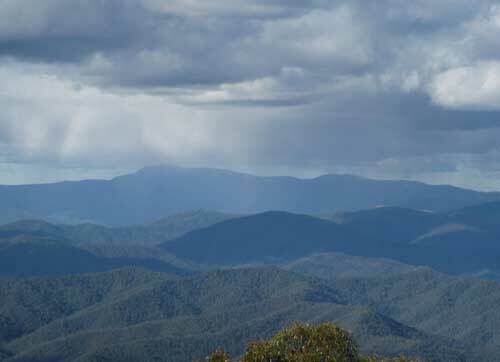 Late afternoon on Mt Terrible: a rainshower heads toward Mt Howitt.